The Campagnolo Polo for women is tailored in Italy with purely Italian materials and was designed in a style that conforms perfectly to the female body. The exceptionally soft cotton makes this polo shirt both elegant and very comfortable. Sophisticated, sleek details ­ comprising buttons in contrasting colours ­ the Campagnolo shield logo embroidered in aged wool, and the story of Tullio Campagnolo printed inside the collar make this polo the quintessential portrayal of Campagnolo's ability to combine elegance and functionality. 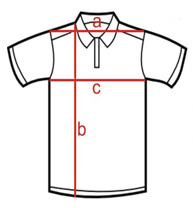 Characteristics of "Campagnolo classic polo for women"